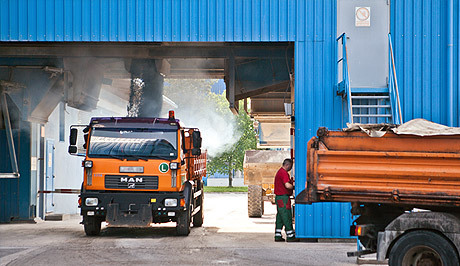 Order - TAČ, Asphalt Factory Črnuče, d.o.o. We pride ourselves with numerous loyal customers with whom we have established a good business relationship already at the beginning of our business. Respecting one’s word and consistency are of outmost importance when establishing loyalty among customers. We are designing new business activities which are customized to different needs and wishes of customers, and we use it in order to build and maintain relationships with every customer. As professional advisors we also help our customers acquire new skills, with networking and finding new opportunities for their business, as well as stimulating them in different ways towards achieving social responsibility. In TAČ d.o.o. we are aware that today time is an important value, therefore, for faster business processes, we have decided to ease the procurement procedure for our contracting customers. All contracting customers receive a username and password for our procurement form. Simply fill out the form with the necessary information and send it. 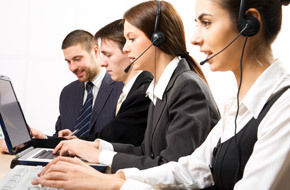 Our staff will contact you to confirm your order. Our contracting customer is aware that in order to coordinate the production of asphaltic mixtures and factory’s capacity, they will have to notify about the expected requirement for asphaltic mixtures for next week every Thursday until 13:00. Production of asphaltic mixtures on weekends is carried out if agreed with the customer. No later than Thursday until 13:00, the customer has to notify about the expected requirement for asphaltic mixtures for the weekend. Every day until 13:00, the customers have to notify about the expected requirement for asphaltic mixtures for the next day. In the case of congestion of factory’s capacities, we are not obliged to supply the mixture within the ordered deadline. In this case, we always notify our contracting customers. A failure to comply with contractual obligations or expected deliveries are only excusable by unexpected failures of our asphalt factory, machines and the lack of petroleum products, as well as other obstacles which under current regulations and practices are considered to be force majeure. If this is the first time you are accessing our order form, please, register. If you prefer to communicate through e-mail, you can send us your demand by e-mail at: info.tac@siol.net and we will answer you as soon as possible. Your orders are welcomed every working day between 07:00 and 15:00 on the following telephone number: 01/537-41-24 or fax on the following telephone number: 01/537-23-55.